Looking for movie tickets? 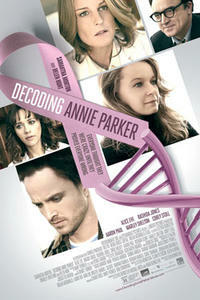 Enter your location to see which movie theaters are playing Decoding Annie Parker near you. The lives of a breast-cancer patient (Samantha Morton) and a geneticist (Helen Hunt) intersect. Powerful if a bit uneven docudrama about cancer, research.